Agilent Technologies introduces a new range of high-precision pulse function arbitrary noise generators designed to help R&D and test engineers test higher speed, higher bandwidth devices. The new pulse function arbitrary noise generators are used to test high speed and high bandwidth analogue, digital and mixed-signal devices more efficiently and with greater precision. Shorter design schedules and higher quality goals increase pressure for design and test engineers to get their products to market faster. Additionally, they must differentiate their products in the marketplace by offering unique capabilities, which necessitates expanded test functionality during development. 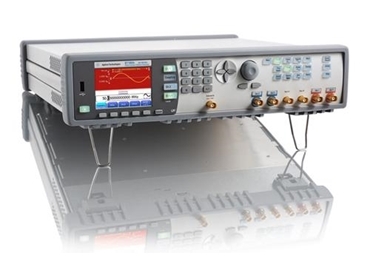 The Agilent 81160A pulse function arbitrary noise generators provide innovative functionality and streamlined setup to help engineers complete a broader test set more quickly. According to Jurgen Beck, general manager of Agilent's Digital and Photonic Test product line, their test tools help engineers do their jobs as efficiently and effectively as possible with their pulse pattern generators offering innovative features to accelerate test for device design.